Cathy Mitchell’s Quick & Easy Dump Cakes features 250 tasty recipes for creating cakes, cobblers, coffecakes, one bowl bars and more. 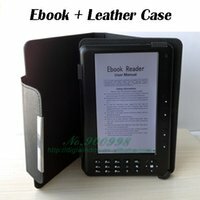 The book is a handy sized, and is well-made and sturdy, with heavy duty, wipe-clean covers. I do like wire bound cook books so the book lays flat, this one is not, however standing the book in a book holder keeps the page open during preparation. The pictured bars, cakes and breads are full page, full color, glossy paper, can be gently wiped clean. The title of the book is perhaps a little misleading for some in that many of the recipes do require creating a batter which is poured over layers in the pan, or is the foundation batter for adding in the other ingredients prior to pouring into the pan. 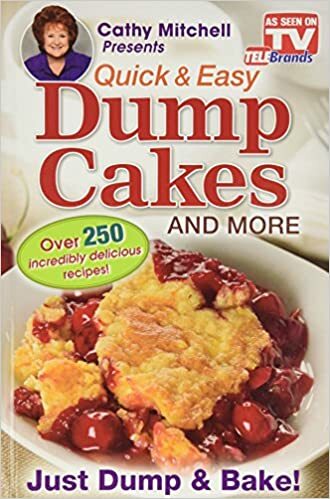 I have no problem with the title, by and large the term dump cake is often used to indicate a cake, bread, or dessert made in a single layer in a baking pan, requires no icing and is served warm or cooled. While I have made a number of dump cakes beginning back when my children were Cub Scouts and their Pack, and later Troops held once a month pot luck suppers, as well as our attending frequent pot lucks at church; the cakes we made then were simply ones we devised on our own, with no cook book handy. Cathy Mitchell’s Quick & Easy Dump Cakes has a handy variety of desserts, breads and the like all in one place, many of the recipes can be fairly interchangeable with white cake substituted for yellow or chocolate depending upon what you want the dessert to be. Almost any berry can be substituted for others called for in the recipe, I use allspice rather than cinnamon, and pecans rather than walnuts, the end product is always tasty, family pleasing and eaten quickly. Recipes are laid out in good order with ingredient list at the top in a single column, preparation steps, size of pan and preheat oven directions, I personally like to see the oven temp and size of pan as the very first item at the top of the recipe so that I can get out the needed pan and get the oven preheating immediately.